Thought mac & cheese was just for kids? Think again! We're talking gourmet, chef-inspired twists on your childhood favorite. Local chefs and restaurants are cooking up a big variety of mac & cheese while competing for the best mac in town. Be there to sample everything for yourself and cast your vote! The annual Mile High Beer Festival celebrates Colorado craft brews on a local scale that’s laid-back and easy-going. Cheers to THAT! In 2019, 40+ breweries will be sampling their best brews while guests enjoy live entertainment, a variety of vendors, and more. Barrel aging is a trend that has taken over beer, spirits, wine, and even coffee and tea. Join us as we celebrate the creative minds of the beverage world, and the delicious barrel-aged crafts they make. Glam gowns. Dapper tuxes. Spiked punch. Limo rides. Dancing the night away with your best friends. Create memories that will last a lifetime and re-live the best night of your teenage life at RiNo Prom. Join us for round 2 in April for the most unforgettable prom you've ever attended. RiNo Prom Night reimagines the prom experience for the 21 and older crowd. In an undisclosed location in downtown Denver, escape for one night only to a magically transformed space where the punch is spiked, there are no chaperones, no curfew, and the DJ plays all night. Each year, 25+ local artists create their own, original Star Wars themed art just for this event. While the artwork is on display, the entire gallery becomes one big Star Wars mega dance party! There is nothing like getting down with all your new best friends. ART WAR is about connecting us through the shared nerdiness of our love for original art and Star Wars. You could just watch it on tv...or you could come take part in the most fun derby day event anywhere! This isn't your average derby party. 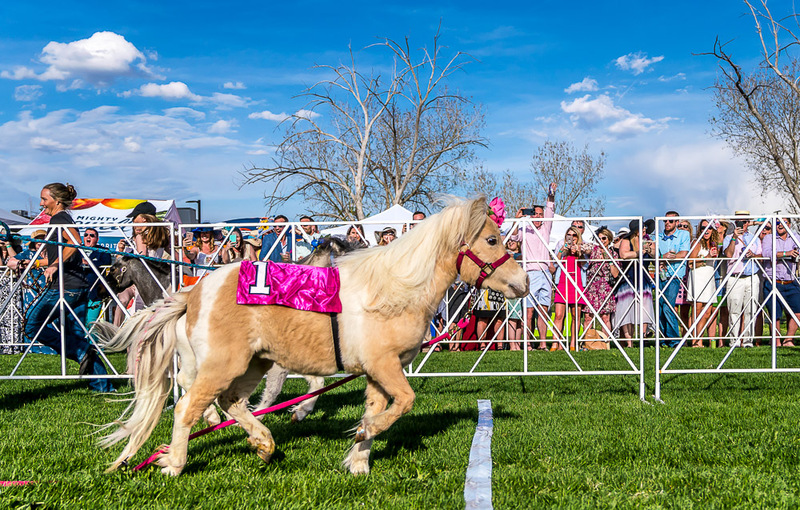 Sure, we'll have big screens, tons of food, unlimited mint juleps and an incredible party, but we'll also be hosting our very own mini derby with miniature horses for the cutest derby day experience in town! You just can't miss this amazing event. Break out your most over the top hat, your brightest pastel pants and we will see you there. Held every year on National Whiskey Day, this annual event is a can't-miss, incredible experience with more whiskey and doughnuts than you could possibly sample in three days, much less one afternoon. 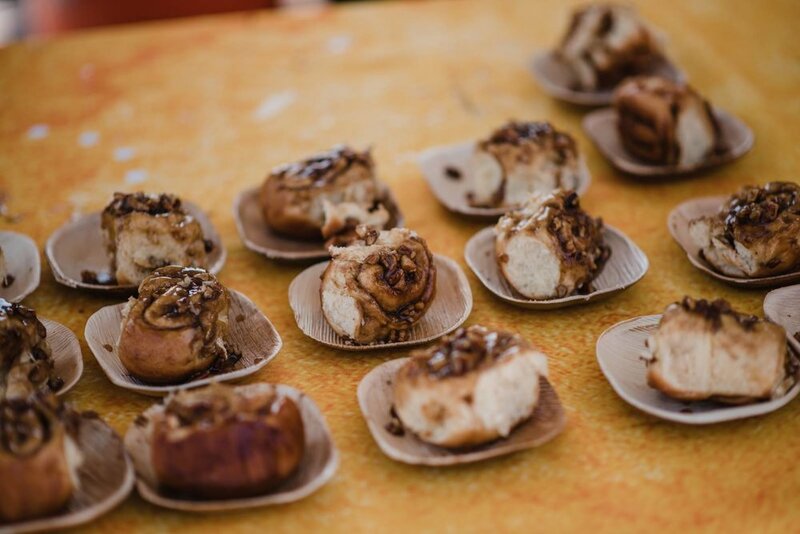 Local whiskey distillers and doughnut makers gather together along with other tasty food and beverage vendors for the ultimate tasting experience. The party also features live painting by local artists, a DJ spinning the tunes, and tons of door prizes are given away, including doughnuts for life! The ultimate Sunday Funday experience for those who like to brunch SO hard! Dozens of local restaurants serve up the best brunch plates in town while guests enjoy bottomless bloodies, mimosas, and other cocktails while enjoying live entertainment in a beautiful outdoor venue next to Civic Center Park! You think you know who makes the best pizza pie in town? We’ll get the definitive answer at Denver Pizza Palooza! Dozens of local chefs and restaurants will compete to see who makes the best pizza around while YOU get to sample them all! Cheese is EVERYTHING, and when you grill it, the world is measurably a better place to be in. Your life becomes even more wonderful when you add a delicious beer. Fact: Grilled Cheese is a basic food group, so is Beer. Welcome to the festival that combines these two fundamental food groups for an evening that is sure to leave you feeling full and satisfied. The only comfort food you need in the fall is a steaming hot bowl of ramen! What’s better than a bowl? How about a whole ramen festival?? That’s right - we’re celebrating ALL THINGS RAMEN with this one day only event you won’t want to miss! Join us for an evening of debauchery as we welcome the New Year with a solid gold party! This is an immersive NYE party unlike any other. Experience surprise performances, live music, dancing, open bar, and ring in the new year with a few hundred new friends while donning your best gold attire. Nothing gold can stay, but you’ll certainly remember this night forever.